On April 15, Skoltech will open its doors for the MSc program, Petroleum Engineering. We invite final year students and graduates of programs such as Physics, Chemistry, Geology, Petroleum Engineering, and Information Technologies. 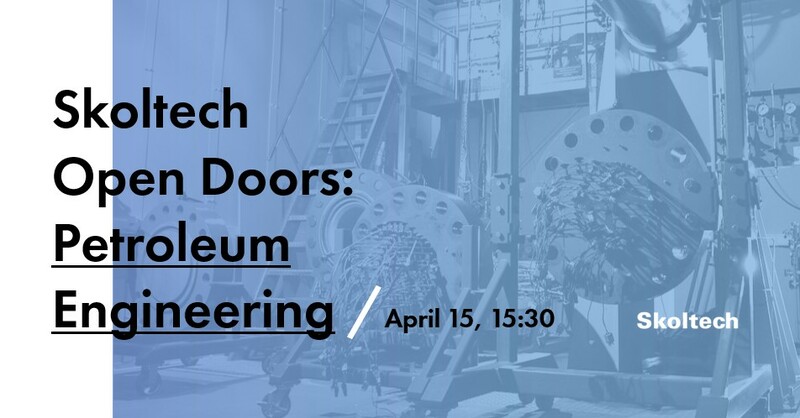 During the event, you will not only be able to see Skoltech from the inside, you will also learn about the modern oil & gas industry, and what challenges and tasks scientists will face in the coming decade. Moreover, we will discuss in detail topics such as how to pass the selection process, the education process, subjects to be taught, research opportunities and career prospects after graduation. Admission Team and MSc programs management representatives will be ready to answer all your questions. After the program presentation, there will be a tour of the Hydrocarbon Recover Center laboratory. In terms of the advanced level of the equipment in this lab, there is only one analogue, which is located in Canada. These unique facilities make the complicated research in the area of exploration and production of unconventional and hard-to-recover hydrocarbons possible. How to get Skoltech: For your convenience, we have organized a transfer from Park Pobedy metro station at 14.45; the exact starting point will be sent to all registered participants in the confirmation e-mail. Should you plan to get to Skoltech on your own, please check the map on the event landing page.